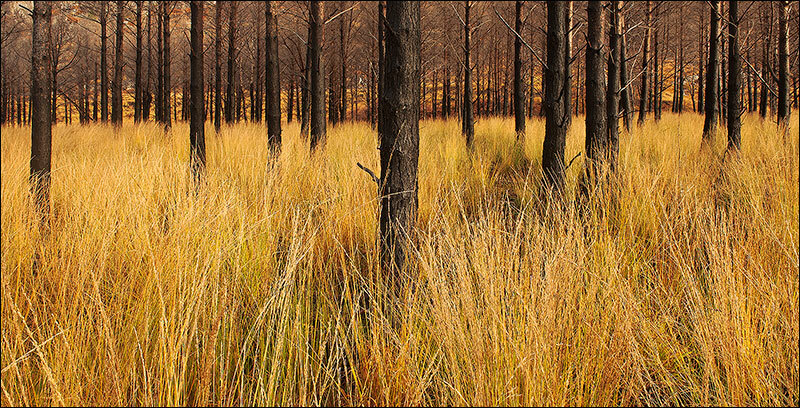 I was drawn to the striking combination of the colours of the burnt trees and the surrounding grass. It had been raining for several days and the ground was saturated. The photograph was taken on an overcast day, which added to the atmosphere of the location.